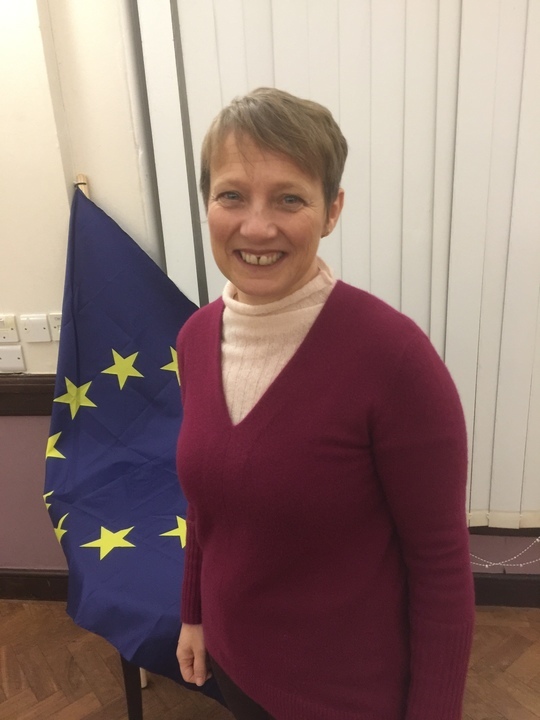 At a sold-out meeting hosted by Devon for Europe in the Coaver Club in Exeter on Friday, Clare Moody (Labour MEP for the South West and Gibraltar), gave an inspirational message to those in all parties and none who are fighting to stop the UK’s “clueless” drift towards Brexit. Clare strongly criticised Theresa May’s decision to trigger Article 50 and start the process without thinking things through or being clear about what our future relationship would be. Clare stressed that after 43 years of being in Europe, “you don’t pull out the roots so easily. It’s a complex business….and the pennies are only now slowly dropping!” Clare cited, as an example of wilful manipulation of the facts , that the PM, as Home Secretary, had, against all the evidence and logic showing the positive contribution made by foreign students (and their propensity to leave on time), chosen to include them in the immigration figures, stoking the anti-immigration fires. The MEP had some criticism of those who were aware of the benefits of the EU, but didn’t talk about them sufficiently. The referendum was lost in the years running up to June 2016 due to a combination of factors, including a predominantly hostile media. She believed that, during the campaign, the Leave side had said exactly whatever they thought their audience wanted to hear. So, sometimes they said we would be staying in the Single Market and Customs Union and other times we would be leaving all that behind. Clare reported that, at the EU level, impact assessments had been carried out, but apparently, to her evident dismay, not in the UK. She confirmed that many on the EU side still do not want us to leave but that we are already regarded as a “third country” post March 2019. Interestingly, the EU Parliament, of which she is a member, will vote, in true democratic style, on the final deal and they had their own “red lines”. Getting the vote through is “not a given”. Turning to the way forward for the majority of people who recent polls indicated wanted to remain in the EU, Clare said it was very important that they should speak passionately to other people about the fact that there was “no upside to Brexit”. People were going to lose their jobs, people were going to be poorer and there wasn’t going to be an economic or environmental upside. In fact, the reverse. Clare answered a large number of questions on topics ranging from Northern Ireland to the Social Fund and confirmed fears that there was very little time in which to resolve anything. She was highly critical of the PM’s use of the phrase “Implementation Period”, saying there wouldn’t be anything to implement! 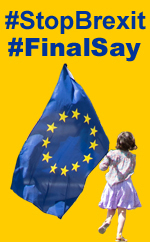 Clare made it clear that the British people had a right to take a view on the final deal and that it might be that they felt it was better to remain in the E.U. In response to a highly-applauded question on Jeremy Corbyn’s position, Clare said that Jeremy and the Labour party leadership had moved in the last year and she felt that they would move further in 2018. She made it clear that she was in favour of remaining in the EU and was talking to others in the Labour party to advance that position. She urged everyone present to write to their MP and for those in the Labour party to write to the party leader if they felt strongly about stopping Brexit.